If there’s one thing entrepreneurs are good at it’s pouring time and money into a product idea only to launch and find that a paying audience does not exist! Sometimes that is because we are overeager to get started doing what we love–designing and developing–and sometimes it’s because we don’t want to believe that our great idea doesn’t have a market. Validating a product idea isn’t easy. Even if you can validate the direction enough to start building a product, constant testing and refinement will always be needed. The idea and direction you start with will need to change and mutate as new insights are discovered by building a product and talking to customers. What he is referencing is how too many entrepreneurs start a venture with excessive planning instead of building a product and validated learning. In The Art of the Start by Guy Kawasaki, one of the first snippets of advice he offers is don’t write a business plan! Instead, get started with the product idea and, if successful, write a business plan later. A business plan and excessive planning will be pointless if it turns out your product idea turns out to be bust. Well, I like to start with an idea and validate that idea with as little work as possible. Validating can take several forms, including talking to your friends and peers, understanding a market from personal experience, and testing the online community. Talking with people you know personally is always a good idea as doing so will help frame your thoughts and present the concept in a solid manner. Friends can be forgiving if you don’t know how to clearly communicate, and willing to help refine your vision. Having a strong understanding of a problem and product solution personally is the best way to validate a product idea, at least as a direction. If you don’t understand a subject, like money management, and all the ins-and-outs and complexities then maybe you shouldn’t try to build a web app for money managers. Instead, focus on something you are not only personally interested in but a semi-expert. Validating online is essential as doing so will reach a broader audience and you will receive a wider range of input (good and bad, you may find that friends don’t want to hurt your feelings and won’t say no to your ideas). Building a marketing page. Create a simple marketing page explaining the product, what pain it solves and benefits expected, and possibly showing fake product shots. Drive traffic. Drive traffic to the marketing page with one conversion goal in mind, typically to get visitors to sign up for an email list. Though, I have seen people actually accept payments in advance of building a product. Whatever your direction, stay simple and go for one conversion goal. After testing several product ideas myself, I decided to convert the code I kept using into a conversion page boilerplate called Breadbox. Breadbox is an open source project that makes spinning up a simple product page super simple. It’s not fancy at all, and that’s okay. The default package offers a simple logo placement, tagline, and email field sign up field. That’s it! The Breadbox Github repo has more information and suggestions on how to personalize a fork of Breadbox, but to start and validate an idea the less work you put into it the better. Here is an example of using the Breadbox splashpage. Initially for my HelixPowered product I threw up a simple splash page, added a catchy tagline and posted to a relevant community (Designer News in this case). In less than 24 hours, the site had just over 600 visitors and 197 email signups (so about a 30% conversion). While I know many people dislike product pages asking for emails with limited (or no) explanation or information, the thing is, it does work. And it’s a good way to test and validate an idea before investing too much time and money on a product that may not have a solid market. Haters gonna hate, so it’s up to you whether you choose to use this method. 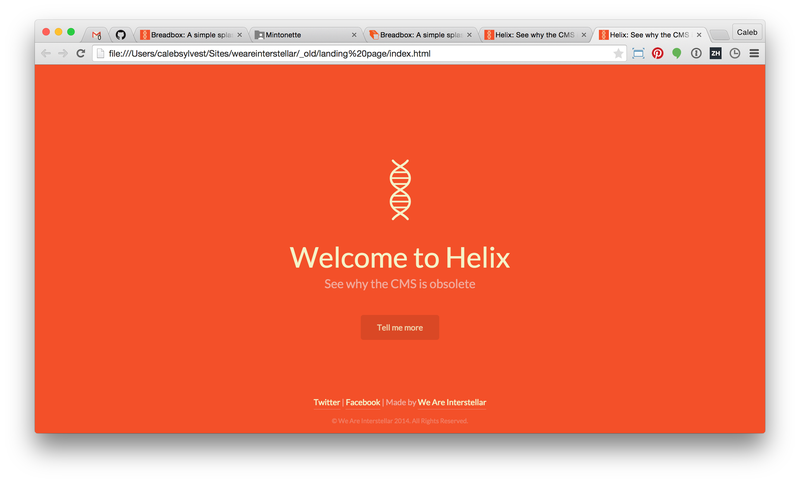 What I did was use the initial splashpage, receive some email sign ups, send out an email, get some feedback, then when I had input on the product (and validation) I built out an extended version of the landing/marketing page for HelixPowered. IMHO, this is a great early path to starting a new product. 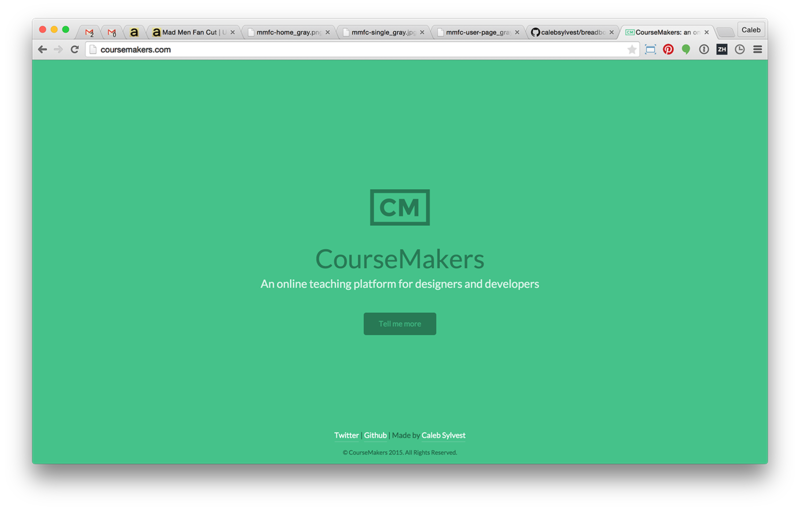 Another example of Breadbox in action, the splashpage for CourseMakers (which now has a full marketing page), an online teaching platform for designers and developers to build and sell digital classes. I hope this helps in some way, and if you have ideas to validate maybe Breadbox will help you come to a conclusion sooner than later. 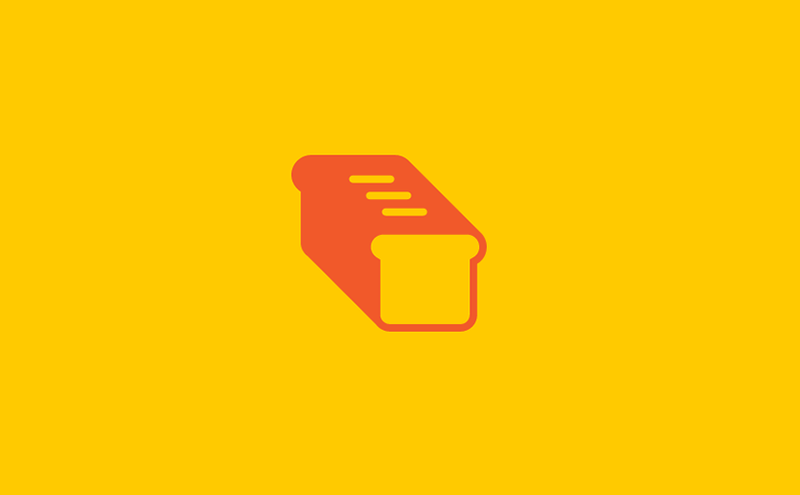 I’d love to hear how you decide which projects to work on, and if anyone does use Breadbox to validate an idea post a comment to share it with everyone!